Dear community! This is me again, Artem Veremeenko, an executive producer at Destiny.Games and The Abyss. 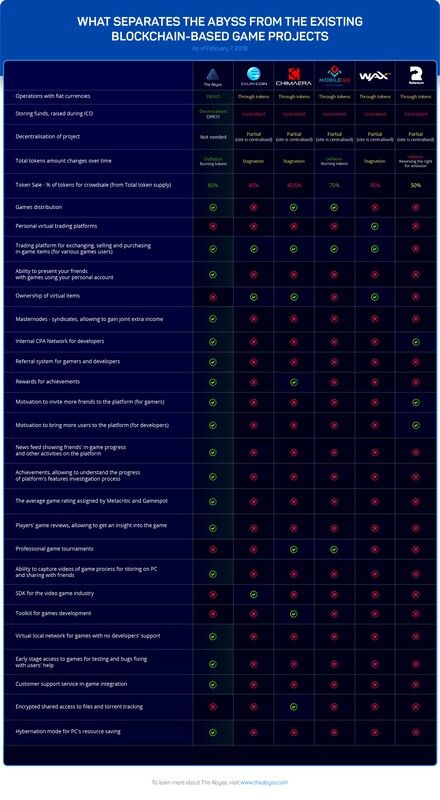 After I published a comparative table, showing the key differences between The Abyss and video games market giants (such as Steam, GOG, Kongregate, etc. 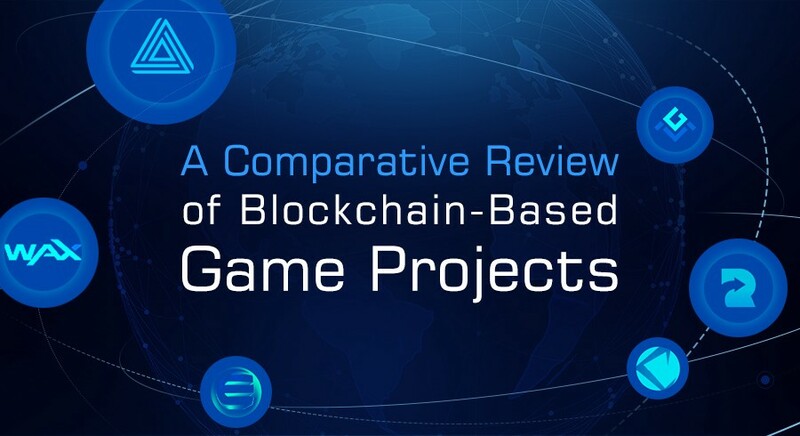 ), many of you have been asking questions about what separates our platform from some of the existing blockchain-based game projects. Since the issue turned out to be unclear, we started investigating details and have spent plenty of time collecting and analyzing the data. The results are presented in the table below. This is a complex comparative review, based on the open-source materials. Have we missed anything? We’re open to discussions and you can send us your thoughts and ideas, aimed at the project’s improvement. It may be your idea that can be applied to the promising The Abyss platform. Join our Telegram channels, or contact us via e-mail, or social media.